Taste test: These are good kettle-cooked jalapeno chips, with a decent amount of heat and lots of crunch. 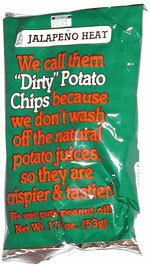 They're not the hottest chips in the whole world (a distinction owned by Tim's jalapeno chips). Smell test: Very strong jalapeno smell. 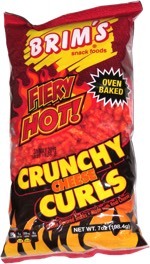 This snack was discovered by Stewart.